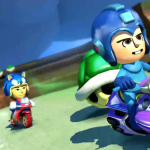 Rolling around at the speed of sound, got races to go to and buy my amiibo! Can’t stick around, I gotta order it now! Guess what lies ahead for that ten dollar price tag! Just keep on moving ahead, if he takes the last one Ill shall strangle him dead! Trusting Amazon and eBay. If I don’t get one, it’s not OK.
Take my lead, I’ll crack your knee! Cannot wait for April 23……….. HYPE!!! I’m just imagining my Mii in the costume already!! 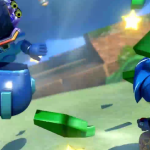 Also since they announced Mii costume packs for Smash 4, I hope to see Sonic costumes. 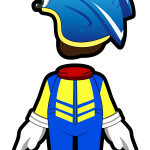 Maybe Tails, Knux, Shadow, and Amy costumes? Anyway, I’m PUMPED!! I do think Shadow should at least be an alternate skin for Sonic in Smash but having a Sonic racing suit is awesome. Guess what lies ahead, only one way to find out(Gets hit with blue shell)Must keep on movin’ ahead I’ll take my lead, I’ll get 1ssst-Follow me – set me free – trust me And I’ll will win this race, I’ll make it through, FASTER THAN MARIO! This is the awesomest thing. I swear. 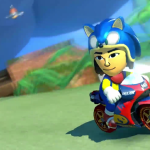 XD I am going to love blazing through 200cc with this on. Don’t forget about the Sonic Palico costume and Black Knight sword coming to Monster Hunter 4 Ultimate this friday! 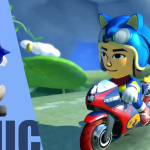 See this is the reason why Sonic The Hedgehog shouldn’t be in Mario Kart 8 before Nintendo get’s copyright strike by Sega but yeah I’m so glad Nintendo confirmed Sonic Amiibo Racing Suit in Mario Kart 8 so that they don’t get copyright strike because it’s Nintendo Amiibo! 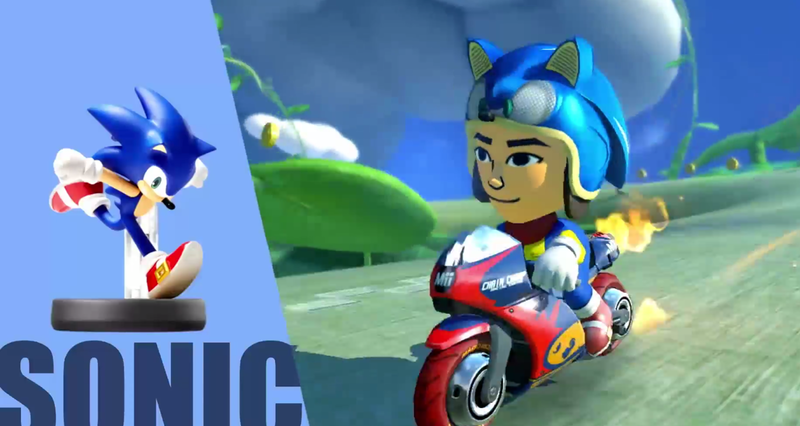 At last, you too can be Sonic Man.